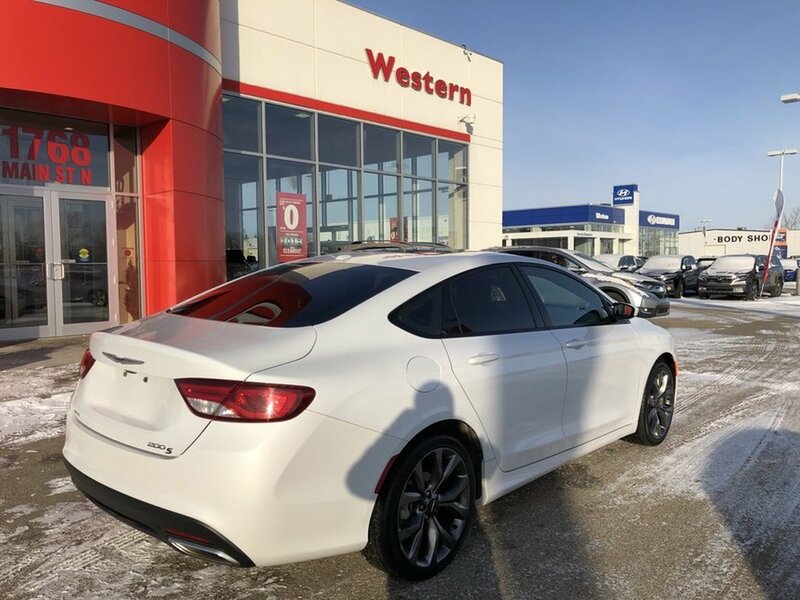 2015 Chrysler 200 S- 2 Sets of Tire/Wheels! 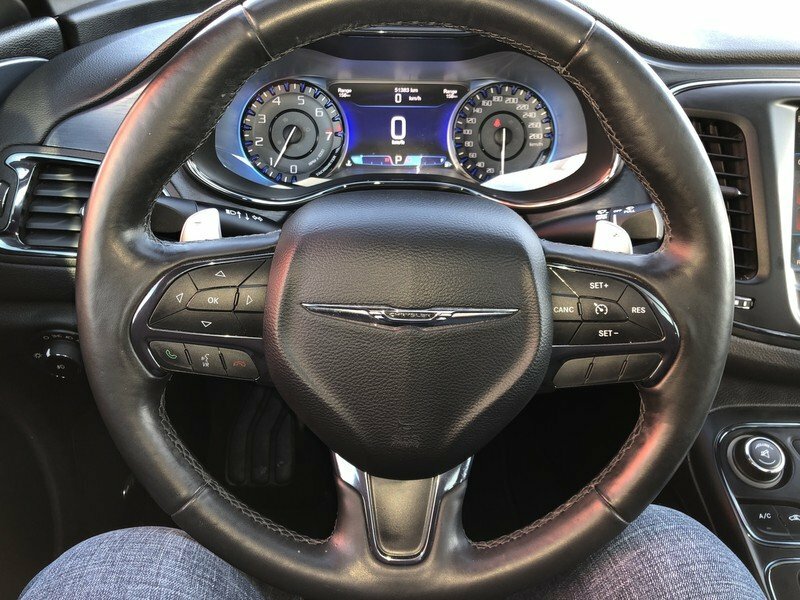 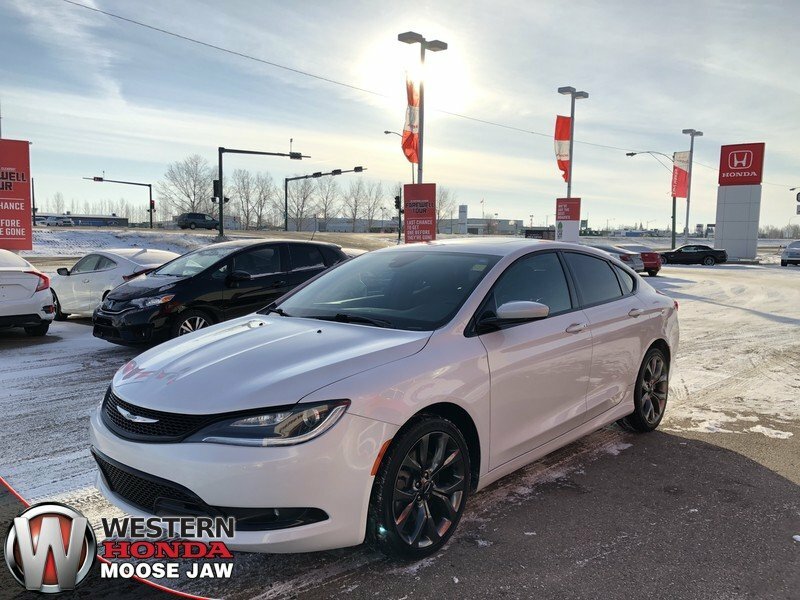 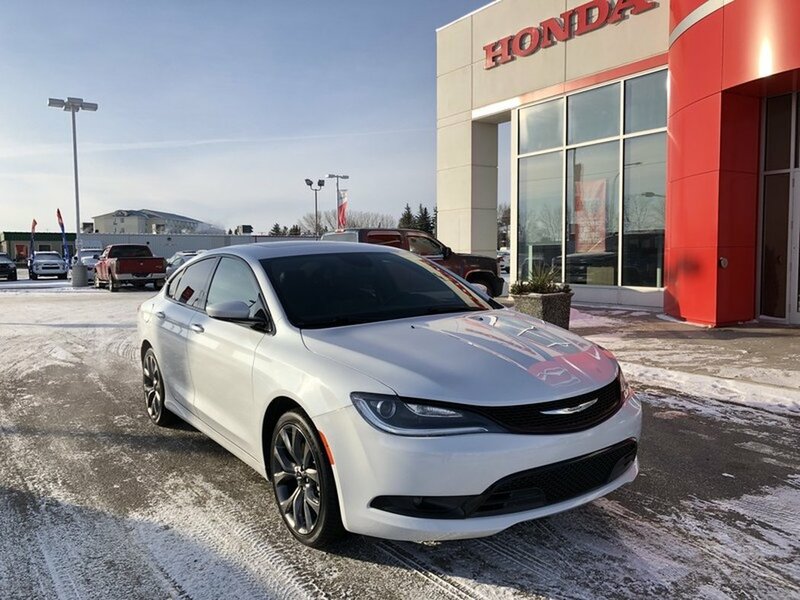 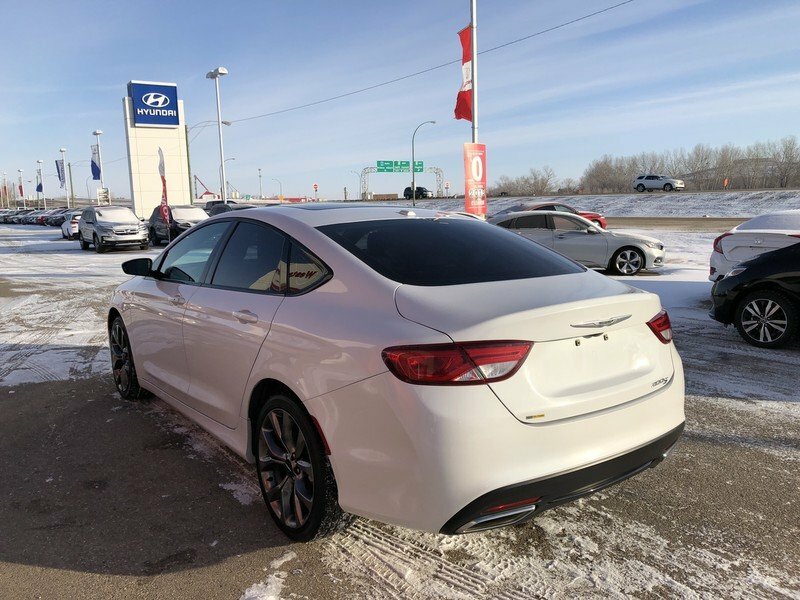 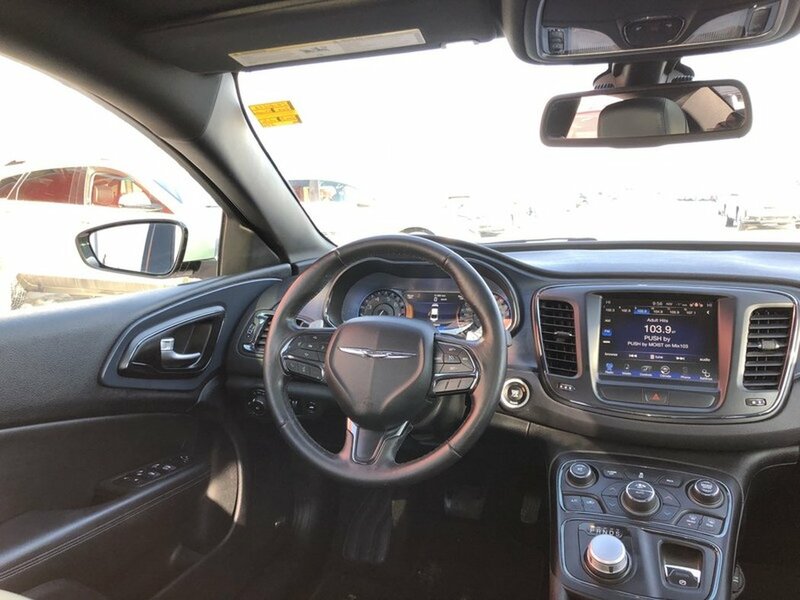 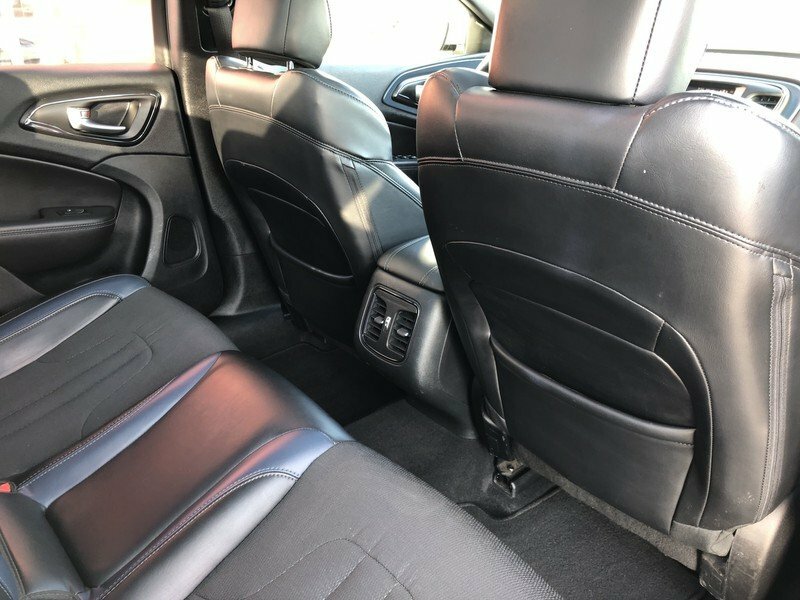 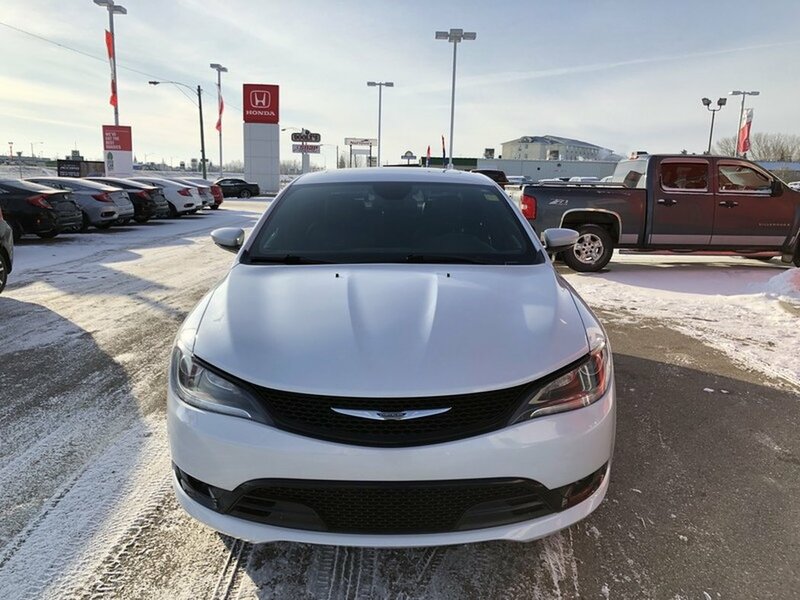 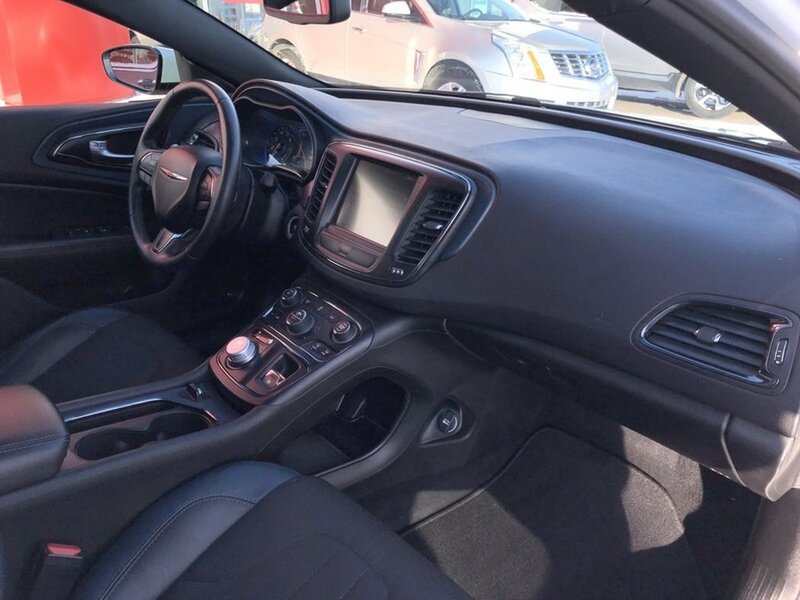 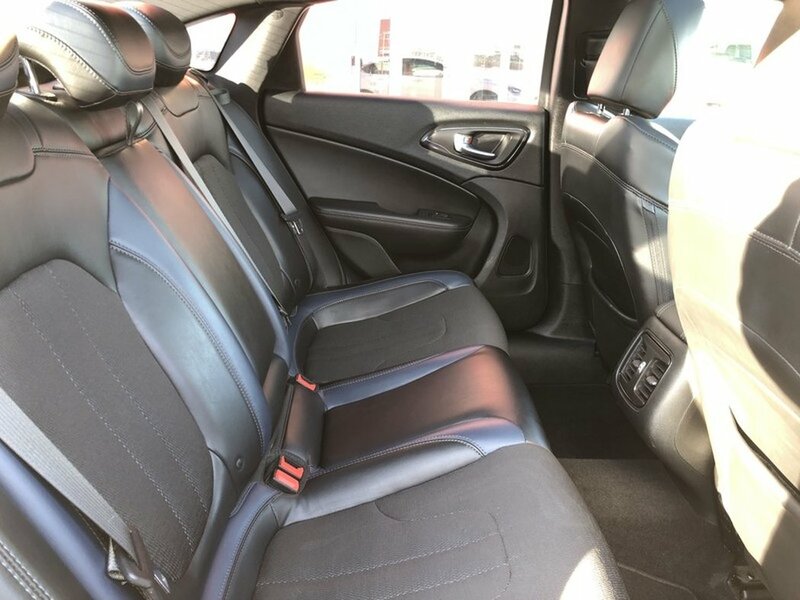 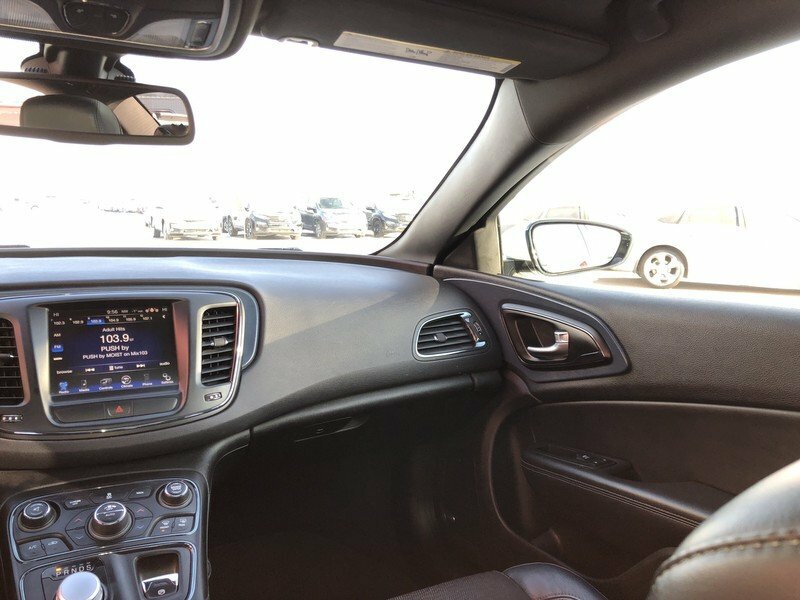 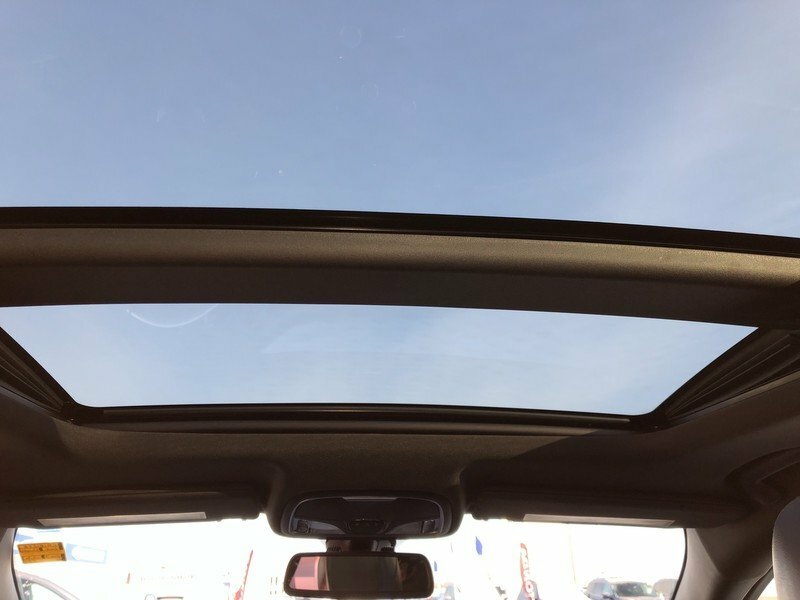 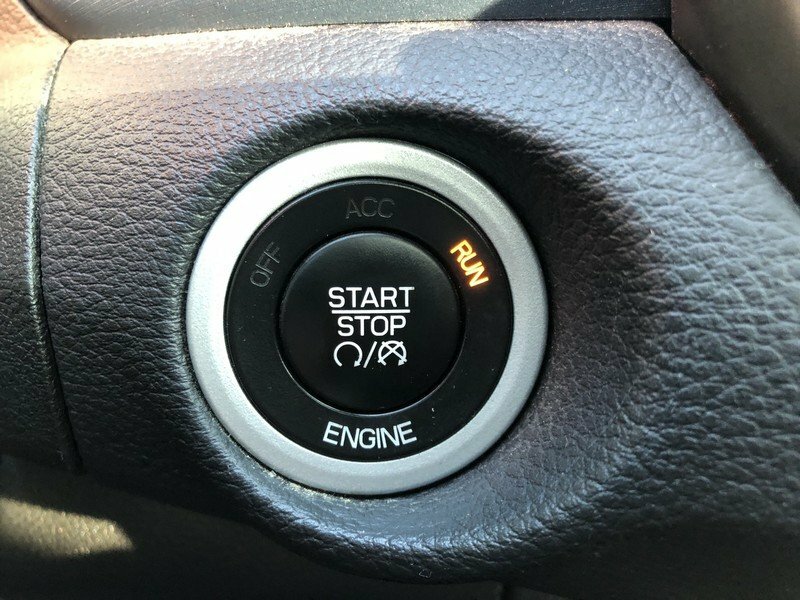 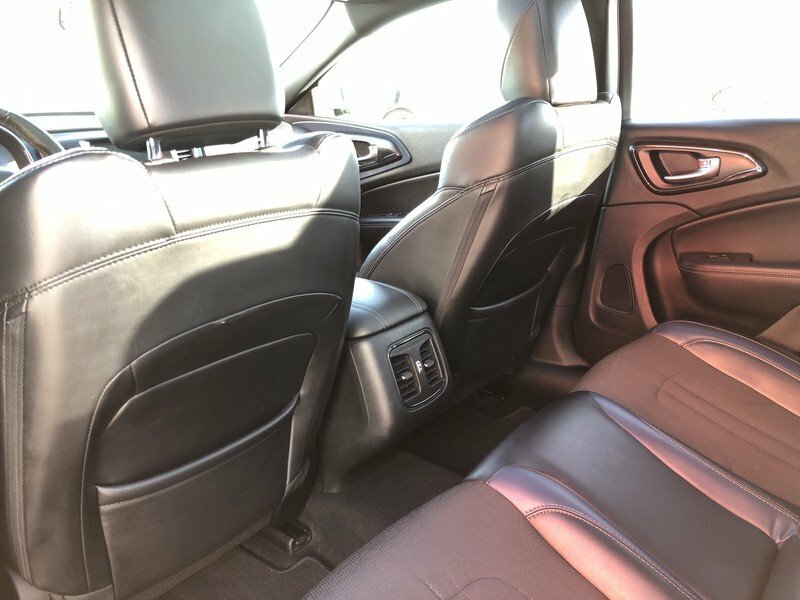 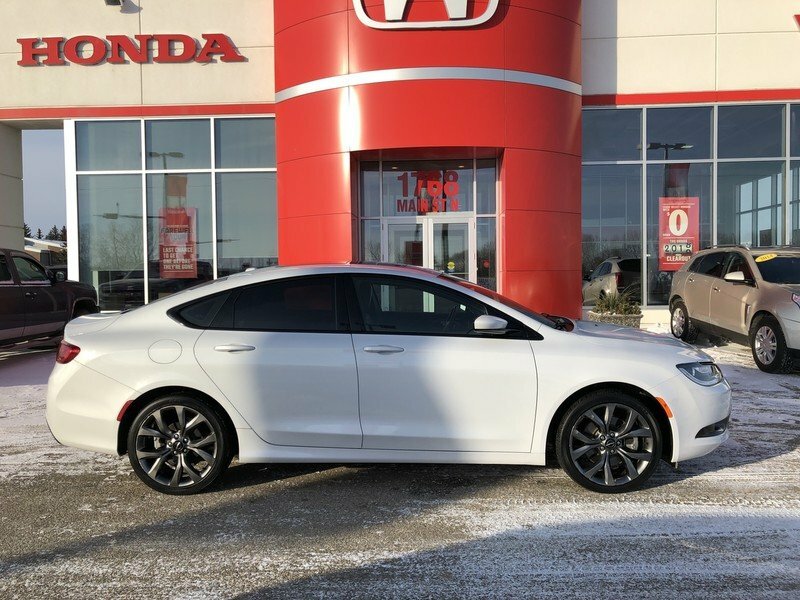 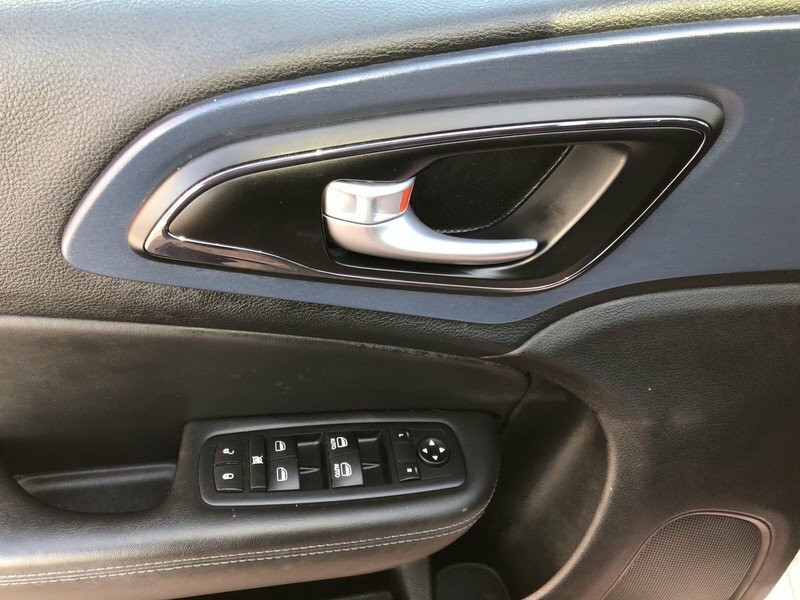 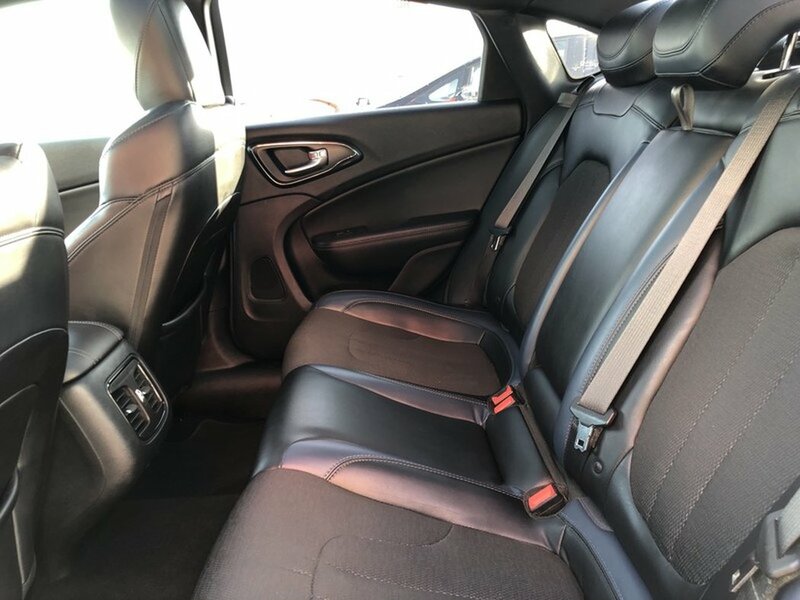 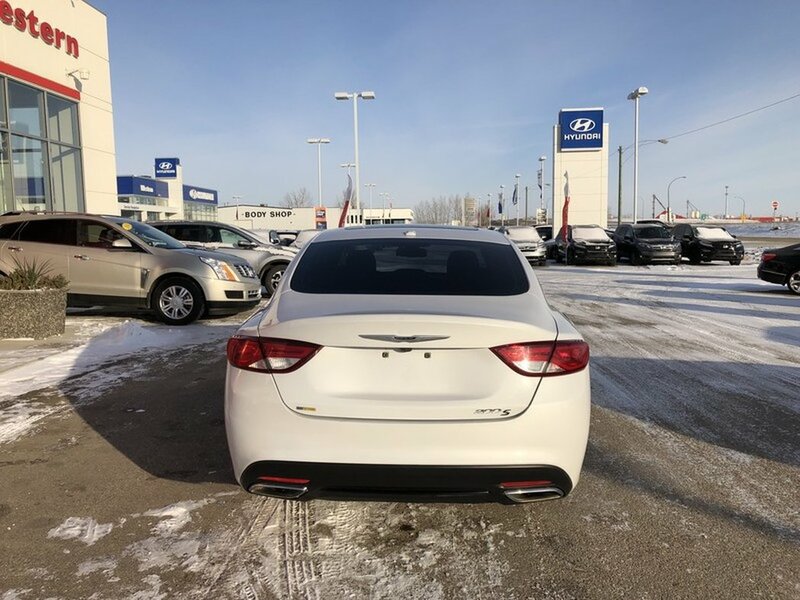 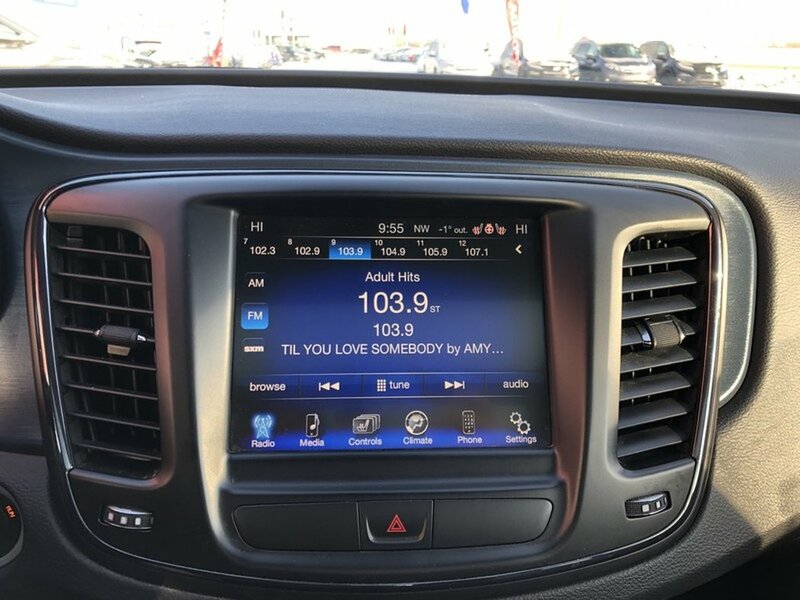 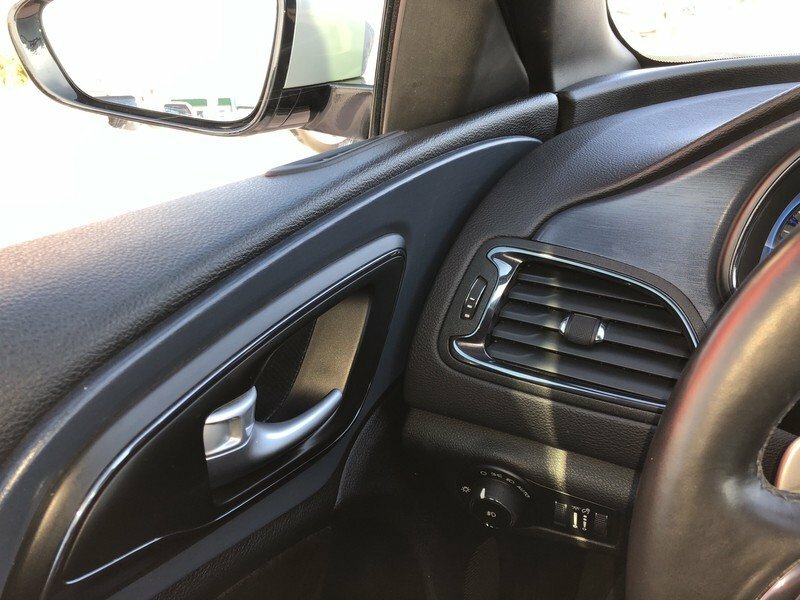 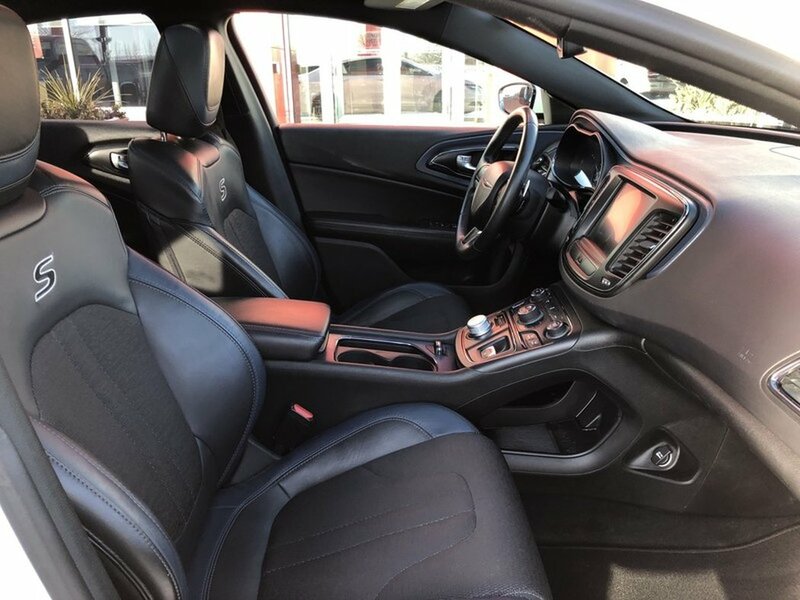 This local 2015 Chrysler 200s is looking for a new owner! 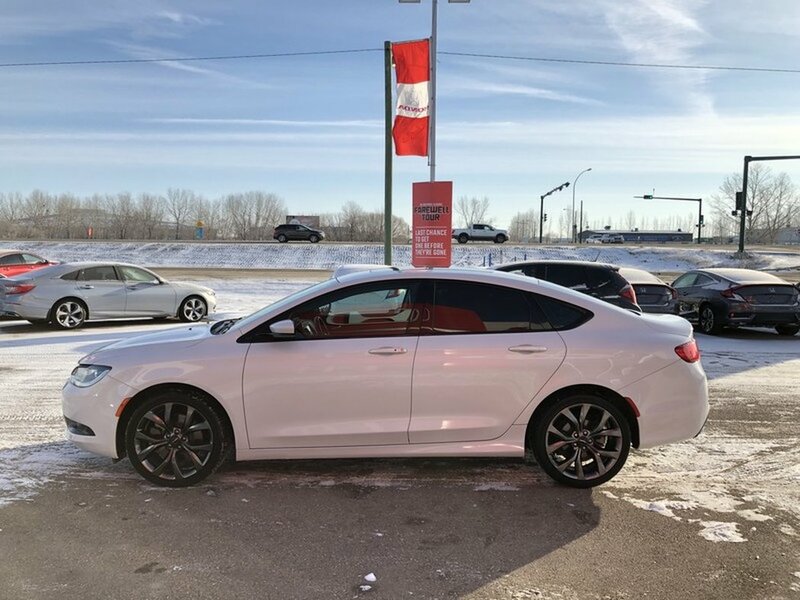 The “Bright White” exterior is in excellent condition paired with a unique blue/black two tone leather interior. 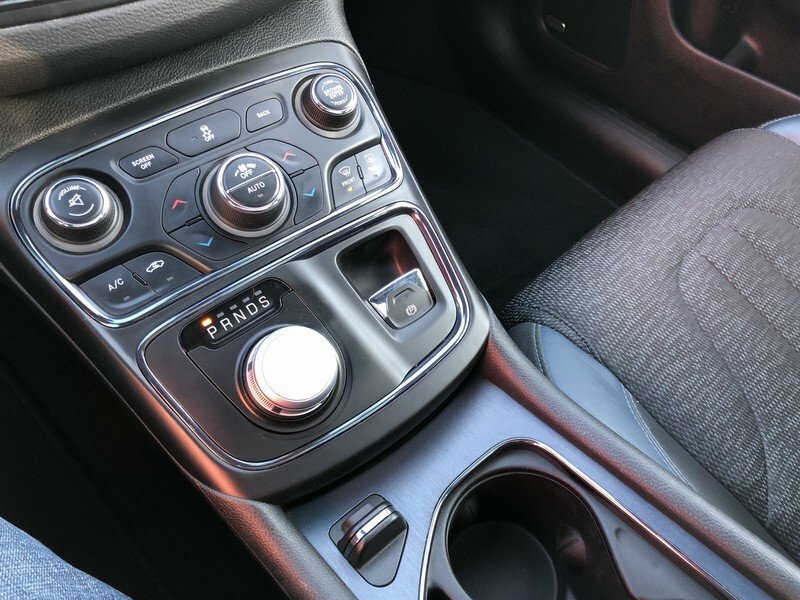 The 3.6L V6 engine has an abundance of power but also keeps fuel economy in mind thanks to the 9 speed transmission. This sedan has 2 sets of tires on rims. 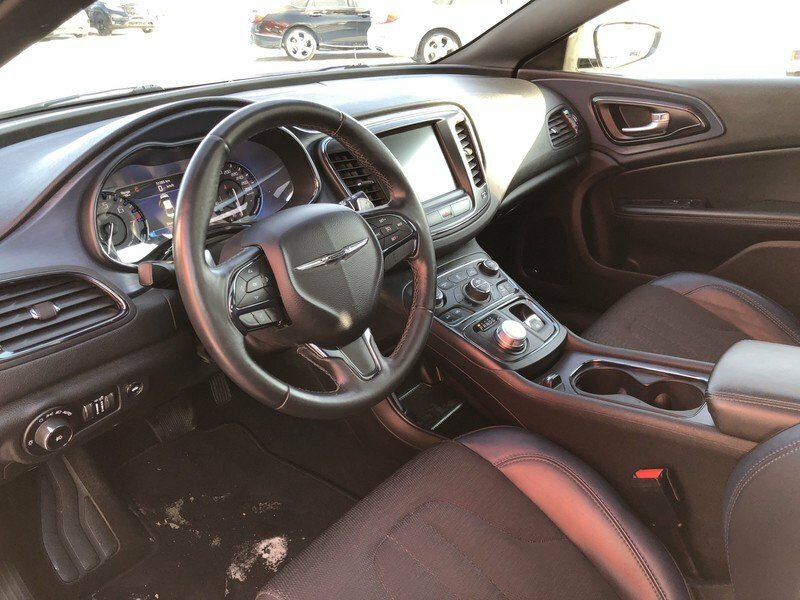 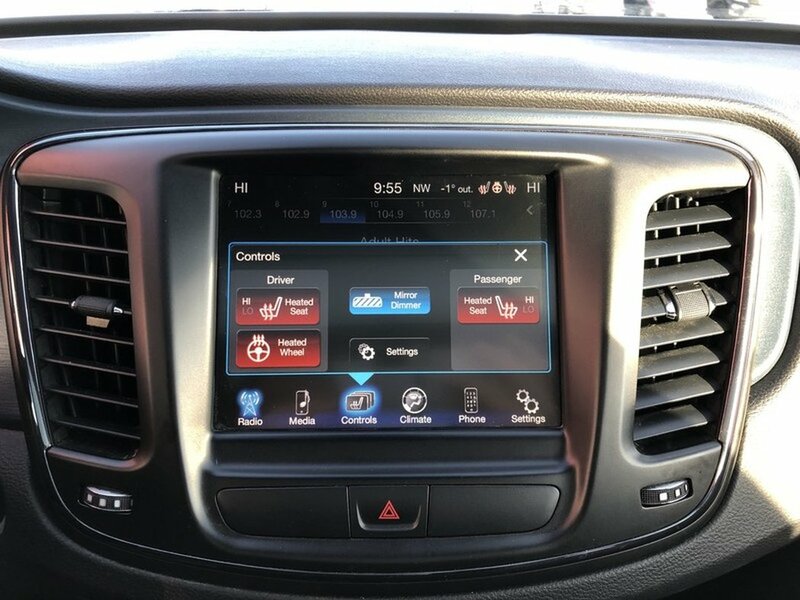 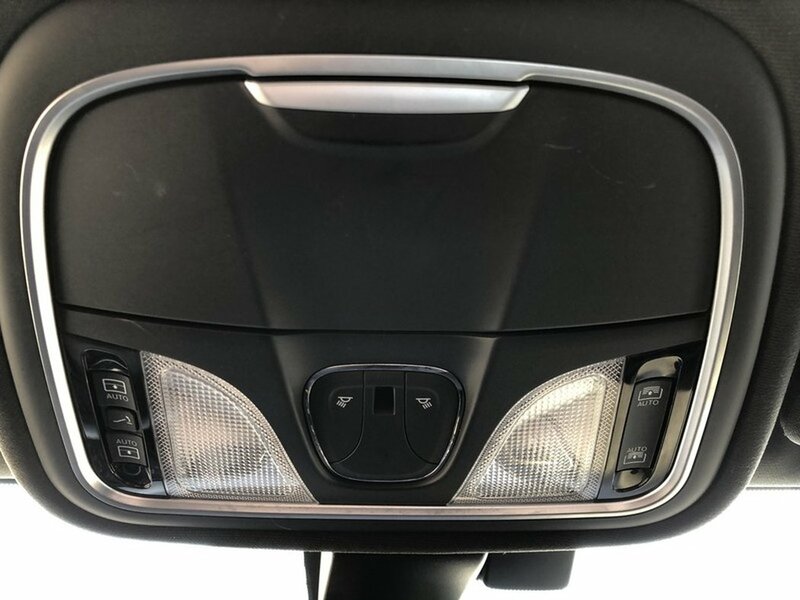 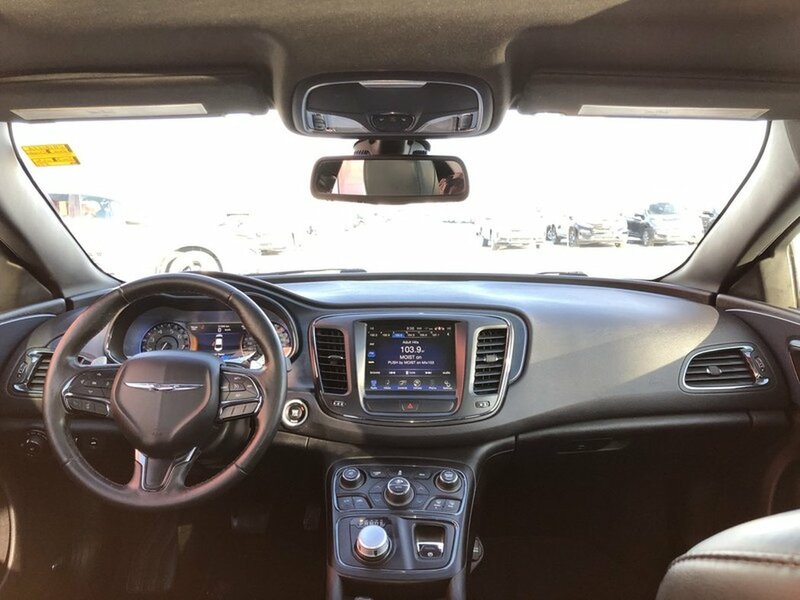 The 200S includes; acoustic windshield and door glass, black chrome and ambassador blue interior accents, dual exhaust tips, gloss black exterior accents, sport mode for transmission, sport seats with leather bolsters, sport suspension, and steering wheel-mounted paddle shifters. 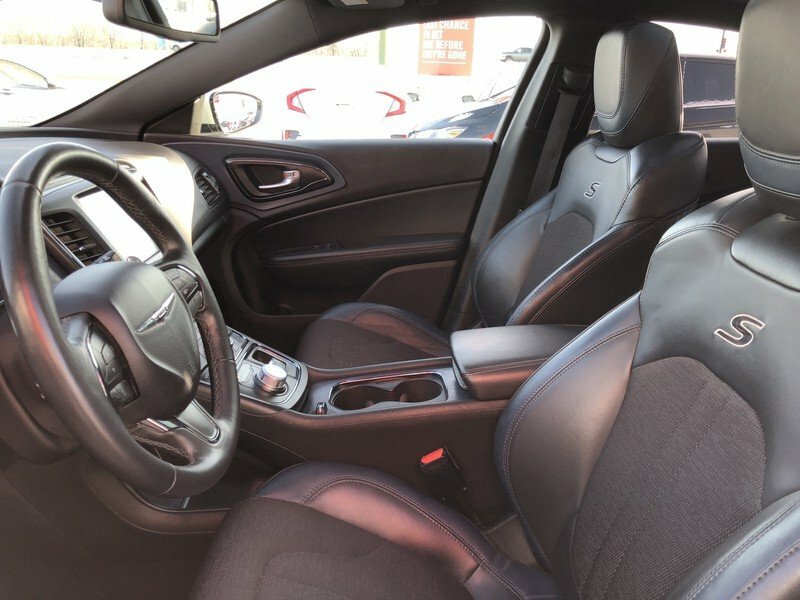 Standard features include, 60/40 split-folding rear seat, air conditioning, ambient interior lighting, auxiliary input, two 12-volt power outlets, USB port, 3.5-inch electronic vehicle information centre, power locks, power windows with one-touch down for the driver, rear-seat armrest with cupholders and storage, rotary shifter, steering wheel-mounted audio and cruise controls, tilt-and-telescopic steering, Uconnect premium audio system, centre console storage with armrest, sliding cupholders and storage pass-through, active grille shutters, automatic headlights, body-colour fascia, door handles and mirrors, LED taillights, driver and front passenger knee airbags (and a total of eight airbags), electric parking brake, four-wheel disc brakes, intelligent keyless entry for driver's door and trunk, tire pressure monitoring, and a tire service kit.